Do you need a healing? Most everyone has a healing need of some sort. Physical, emotional, relational and spiritual problems or challenges you are facing right now are not coincidental. They are there to get your attention so you can see how your current actions, thoughts, and beliefs are holding you back from living the life you are destined to live. God is in the business of soul evolution and transformation. He wants to expand and grow you. Most of the time we get comfortable or follow habitual ways of living and thinking that stagnate the evolution of our soul. Hence, we need shaken awake. These desperate times remind us to turn to God who is residing in each of us for transformation and healing. God can heal anyone in an instant. However, if he did so, would it be in the best interest of the soul? Normally when problems arise the human tendency is to resist, deny, fight, or run from the problem. When this happens we ignore the lesson we are to learn for our souls purification blocking personal transformation and healing. Complete healing will not come no matter how many prayers are lifted up or how many doctors we go to. Instead we must run head on into whatever is shaking us and awaken to a spiritual perspective of the situation at hand. The first step in healing is having the courage to acceptance the current situation. This does not mean we have to like or understand what is happening. Acceptance is recognizing that there is a greater purpose in what is happening and deciding to surrender to God’s will for your life. Begin by thanking God for what you are going through knowing it is for the purification of your soul. Doing so opens the door to healing. 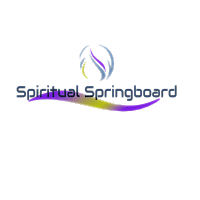 From this space you begin to soul search which will lead to revelations on what changes need to be made to help evolve the soul and clear the way for complete Divine healing. God has already prepared a way of healing for each soul if it would simply listen to the voice deep within! Apply this metaphor of an eagles life to your own for better understanding. At the age of 40, an eagle’s claws are too long and bendable so he cannot grasp any food for himself. His beak becomes too long and curved so he is unable to eat food. The feathers on his wings and chest become too thick and heavy and hinder his flying. At this point in the eagles life he has to choose: to give up on life or to go through a long and painful period of transformation and change that lasts 150 day. He flies to his nest on top of the mountain and begins to beat his long beak against a rock until it breaks and peels. He then waits until a new beak grows so then he can pull out his claws. Once his new claws grow in, he then begins to pull out the heavy feathers in his chest and wings. After 5 months of pain and suffering he has a renewed beak, claws, and feathers. The eagle has revived himself and can live for another 30 years. It seems for us too, that in order to continue on life’s journey we have to change, and usually this process is painful, uncomfortable, and scary. This is only natural because we are getting rid of old habits, ill ideas and views, useless traditions, unhealthy beliefs, etc. but only liberation from the burden of the past allows us to enjoy the present while creating a bright future!